Tonight Music Director Alan Gilbert conducts the Berlin Philharmonic in the first of three evenings of concerts featuring Dvořák's Cello Concerto in B minor and Magnus Lindberg's Kraft. This is his third trip to Germany this season. He led the Berlin Philharmonic September 12–14, and October 31–November 3 and November 7–9 he conducted the Munich Philharmonic and Hamburg's NDR Symphony, respectively. "Each breakneck run in the violin parts and each delicate woodwind comment was audible, and even the collective brass that usually dominates the Wagnerian sound was instead well-balanced and articulated. Gilbert obviously knew what he wanted.... In the introductory "Ride of the Valkyries," he chiseled the inner structures instead of unleashing an overwhelming barrage of sound. This made it so much more effective when Gilbert gave the musicians free rein….The tonal and technical mastery was deeply impressive." A very happy 55th birthday to our former Composer-in-Residence, Magnus Lindberg! He remains a friend of the Phil, as evidenced by his participation as a soloist in his own work, Kraft, during our EUROPE / SPRING 2013 tour. The performance, at Volkswagen’s Transparent Factory in Germany, is available for streaming at medici.tv. 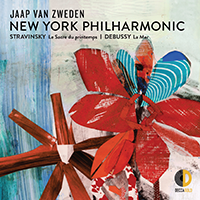 Or celebrate with Alan Gilbert and the Philharmonic’s recent release on Dacapo, featuring three works composed during Magnus’s tenure as Composer-in-Residence: Expo, Piano Concerto No. 2, and Al Largo. Did you miss it? Re-live Alan Gilbert and the New York Philharmonic performing works including Magnus Lindberg's Kraft at the Volkswagen Gläserne Manufaktur on medici.tv.